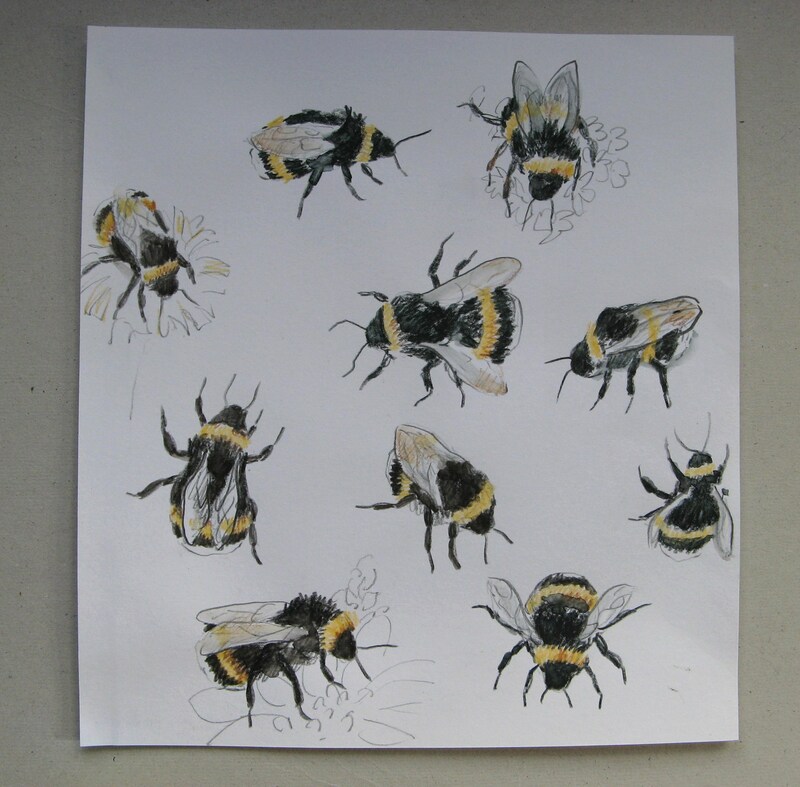 Another Batch of Bumbles and Butterflies. 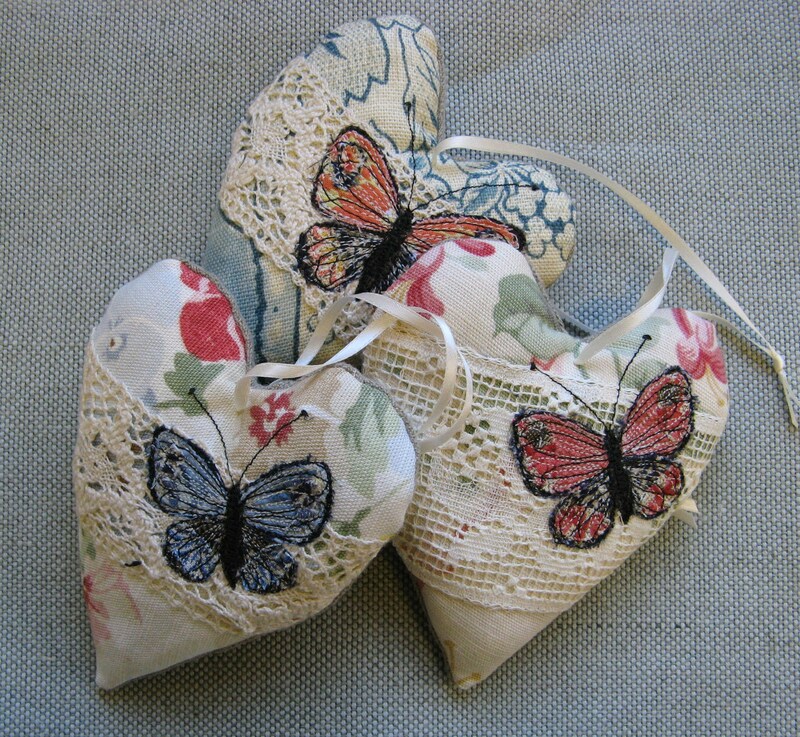 Last week it was all about bees and butterflies again as I concentrated on finishing some more brooches and lavender hearts. 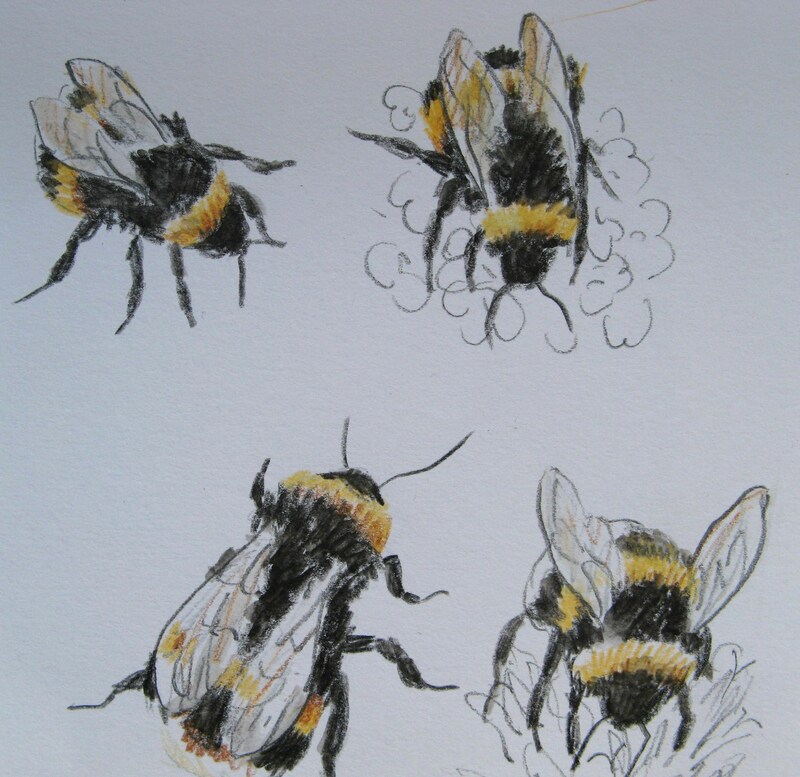 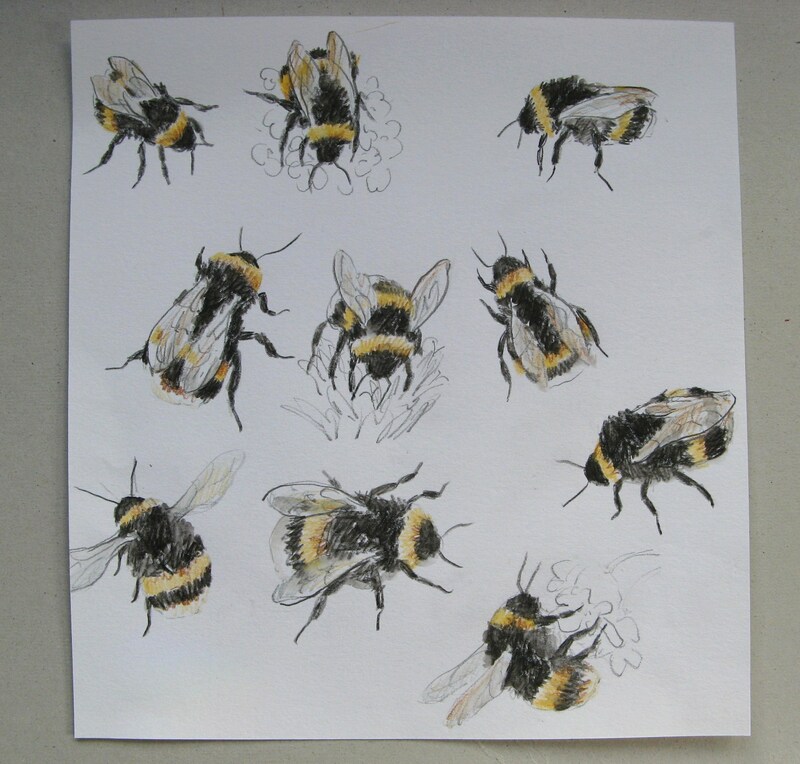 I also had a commission for some bee sketches from a nice lady via my Etsy shop. 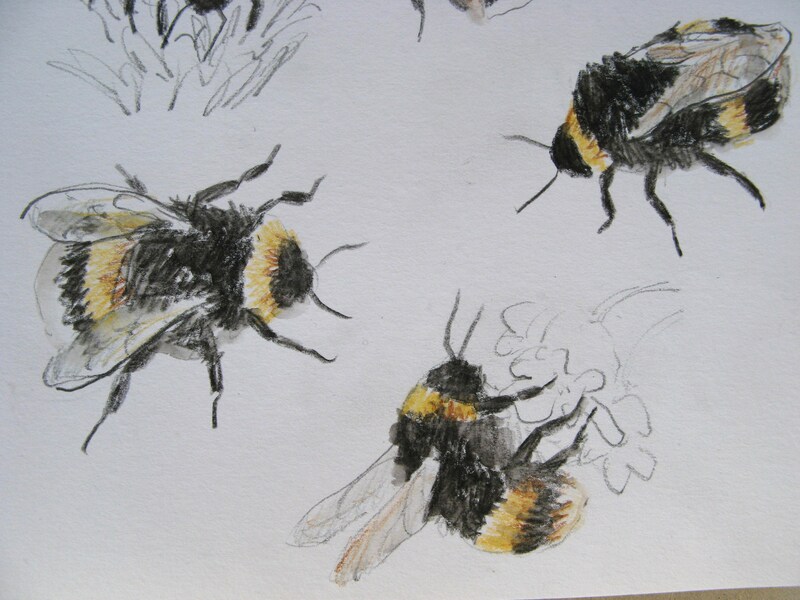 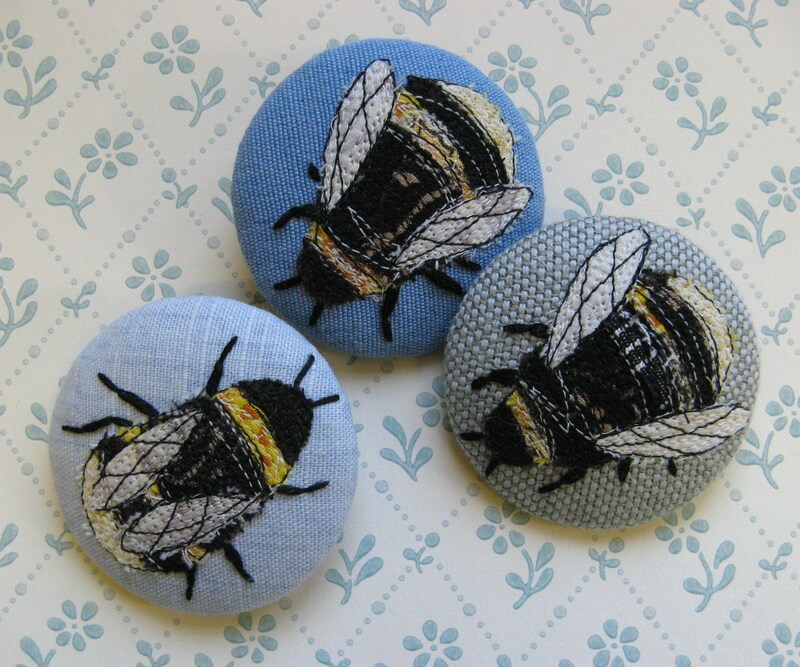 The drawings gave me a chance to look closely at bumble bees again and inspired a few more brooches. 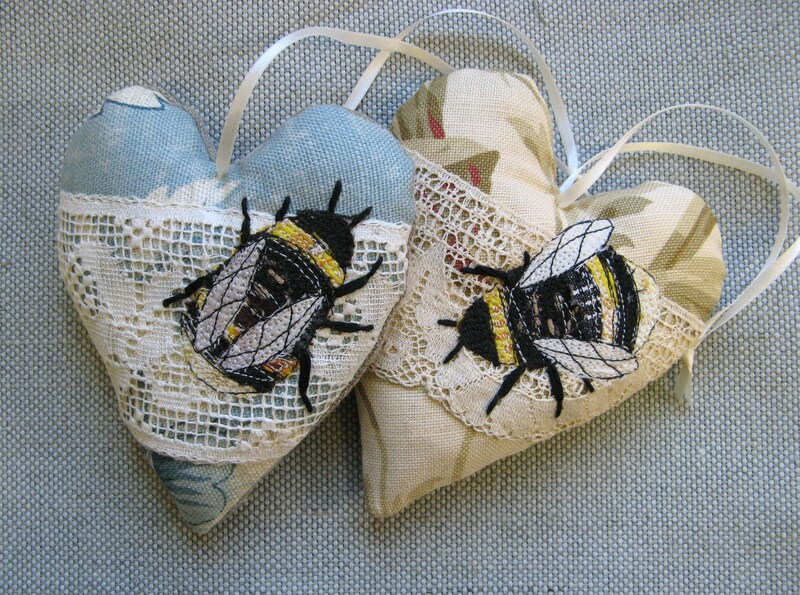 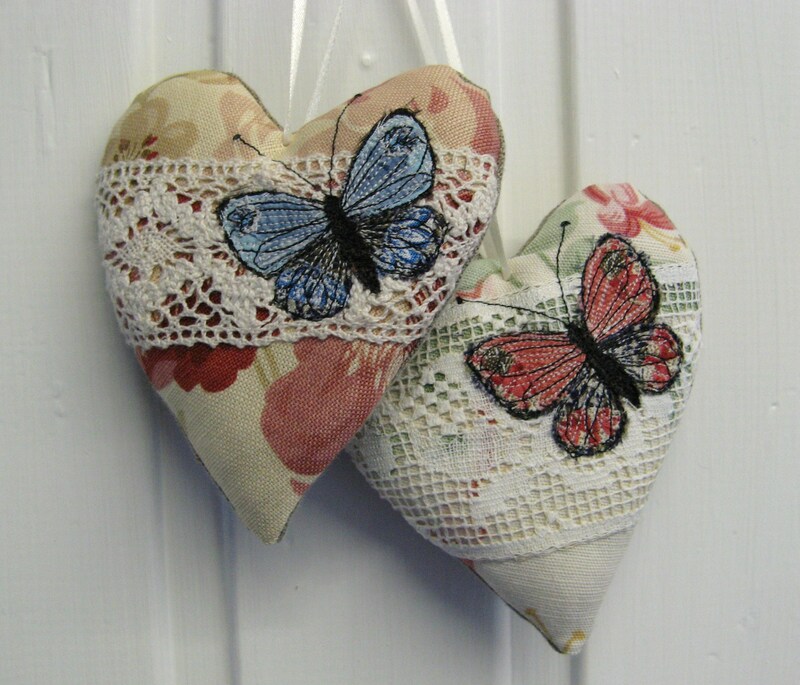 Two new bumble bee lavender hearts. 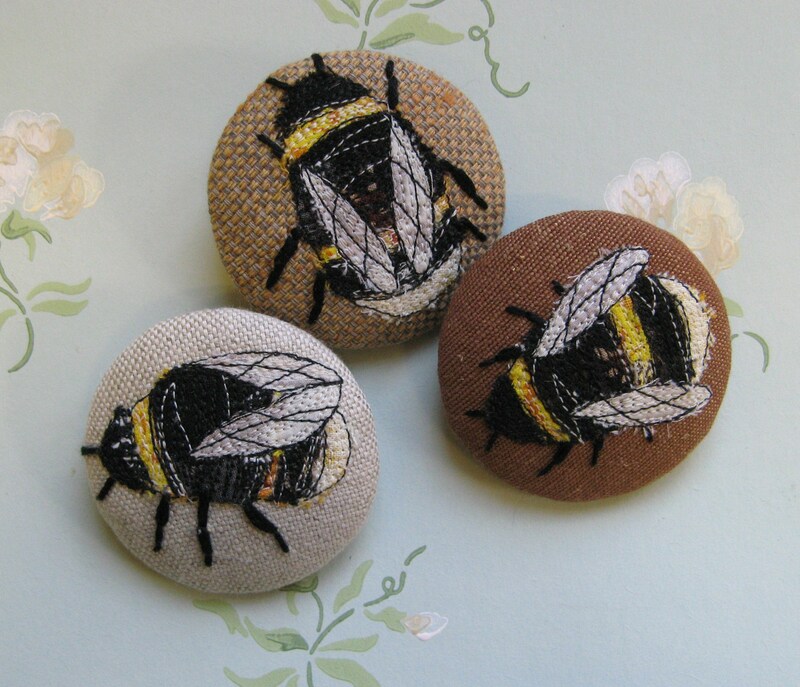 I chose pale vintage linen so that the bees really stood out. 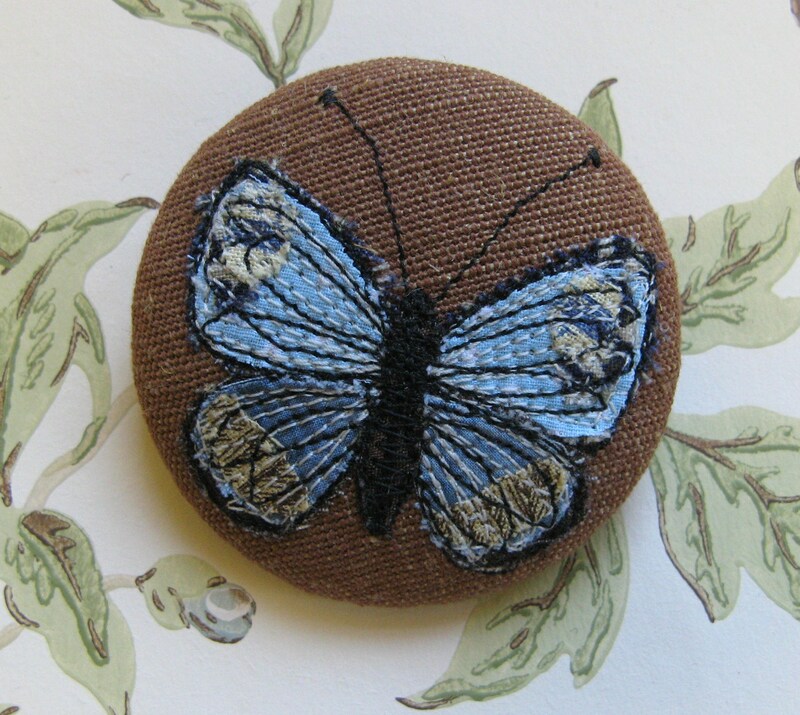 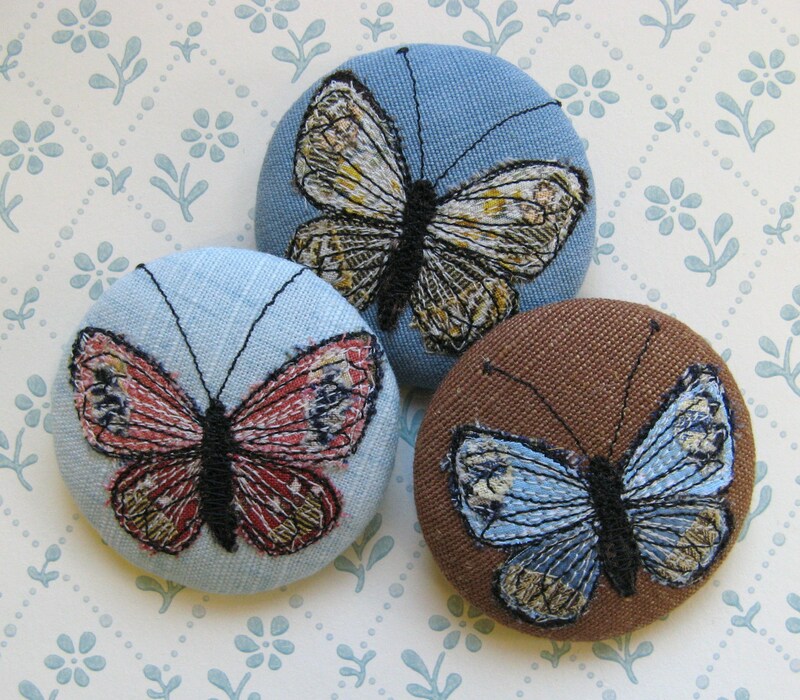 I love the colours in this butterfly, my favourite brooch from the latest batch! 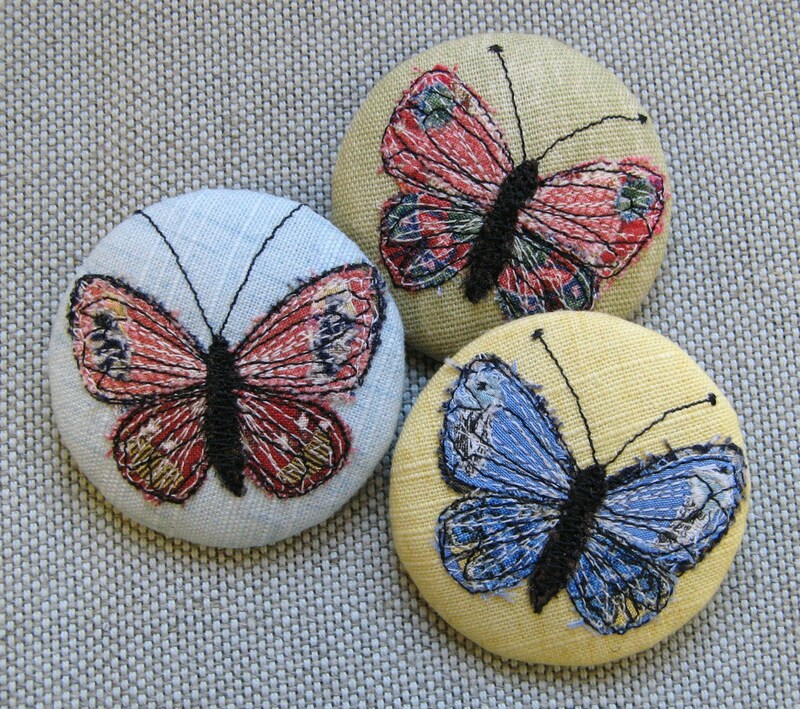 A Few Makes For Spring.